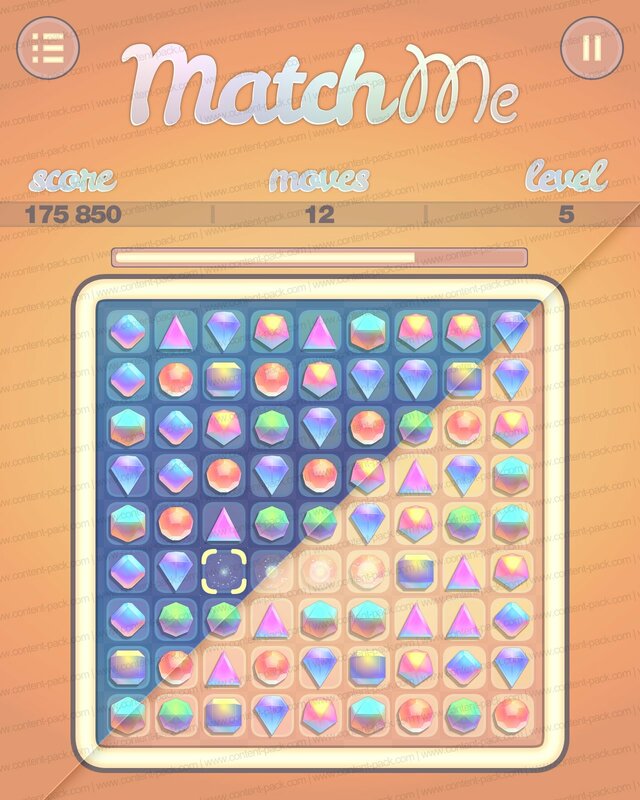 Classic match-three puzzle game using a pastel colour theme. UI : score / moves / level / progress bar + 3 buttons (menu / play / pause). It’s a no-brainer. Make your game(s) look good! To complete this pack, you may be interested in these free graphic assets with menus, cursor and social media icons. Partager la publication "Match-three Puzzle Game"